This must be the sweetest thing ever! Are they or aren't they dating? 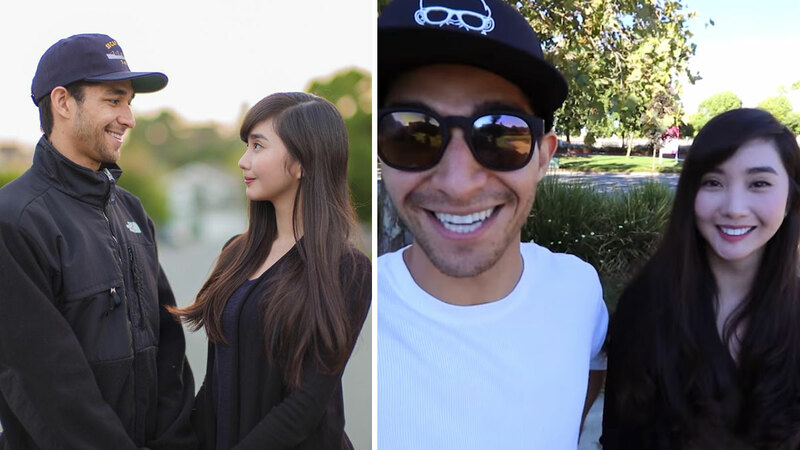 This question is irrelevant for Wil Dasovich and Alodia Gosiengfiao because, in their case, actions speak louder than, er, oral confirmation of their relationship status. ICYDK, the 26-year-old YouTuber suddenly left his booming career in the Philippines and flew off to San Francisco for personal reasons. And a few weeks ago, Wil revealed he was diagnosed with cancer: "The other day I was diagnosed with cancer. As tough as it was for me to take that in, it's not gonna stop me from having fun, being myself, and continuing to do what makes me happy." Soon after the announcement, a certain woman in his life left Manila to be with him—Alodia Gosiengfio. The cosplay and internet star went to visit Wil in San Francisco and even met with the Daso clan. So sweet! "I just want you to know that I will be here to support you 'cause it's going to be a tough journey ahead. You know you're strong enough to get through this on your own, but I'll do what I can to help and make things easier. You're an inspiration to many. You're an inspiration to me. And I learned from you to never be afraid. You can do this. We can get through this," she said on Wil's vlog titled "She Flew Halfway Across the World to tell Me This." Alodia and Wil have gotten close this past year after having gone to several trips together with Wil's Vlog Squad. "Yeah, it's stage three. It's developed. It's gotten my lymph nodes but it hasn't metastasized—so it's not in my brain, liver, or lungs. And honestly, I'm cool with that. I looked up at the statistics of stage four and it's scary. [With] stage three, there's a lot better chance [of survival]."